The 2012 Caminos y Sabores fair will be taking place from the 6th-9th of July, and is ideal for those who would have liked to travel more around the country, getting to know the particularities of the different Argentine regions and provinces. 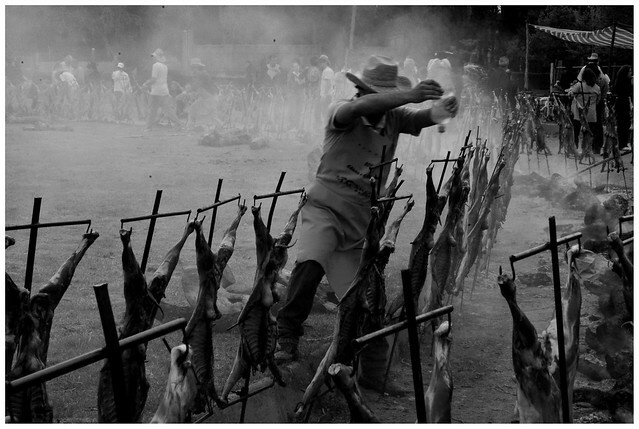 During this four-day event, typical foods and crafts from around Argentina will be on display at La Rural in Palermo. The exhibited products will range from olive oil, to homemade preserves, to cured hams and smoked Patagonian trout, to a variety of cheeses and wool, leather and other crafts as well as typical music. Additionally there will be a special Cooking Room where different Argentine chefs will be preparing unique regional delicacies, such as pacu fish and boar meat, made with local ingredients. A timetable of the Cooking Room can be found here. There will also be a series of workshops and conferences about brewing mate, making artisanal beer, the history and tradition of the asado, and olive oil, amongst others (schedule here). 6th-9th of July from midday-9pm. Tickets: 40 pesos per person per day. This entry was posted in Buenos Aires Agenda, Food & Drink and tagged argentina, buenos aires,, events, Live Music, local crafts, local flavors, Palermo, regional cuisine, Travel by Fierro Hotel Staff. Bookmark the permalink. I really enjoyed this event last year. A must-do if you’re in the city this weekend.